Nothing crazy here, just some terrain with a modified version of Color Overlay macro to take all of the Erosion generated maps as parameters. A wip of the Misty Mountains for the Middle-Earth DEM Project. A little thing indeed, a great step for me. Dipped my head into Vue 10.5 PLE and rendered out some terrain. Hope you like it. And edited in photoshop cs3 a bit. Trying to get an "Arizona look". I haven't gotten to the vegetation yet, so I attempted to add some ground fog. 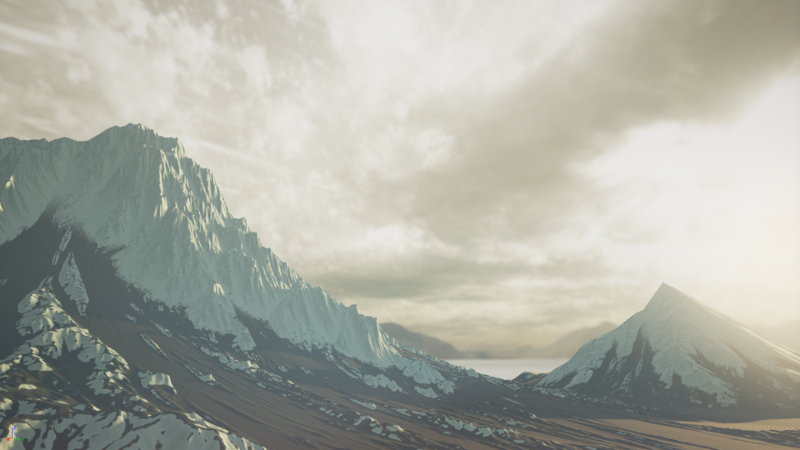 Six of the terrains are from WM2 with a Terragen 2 generated backdrop. Rendered in TG2 with no post work. The Middle-Earth DEM Project has released a free interactive Middle-Earth demo. World Machine is one of the core apps we used to make the terrain in the demo. I've been using World Machine for a number of years now. I couldn't do any work on this project without it frankly. 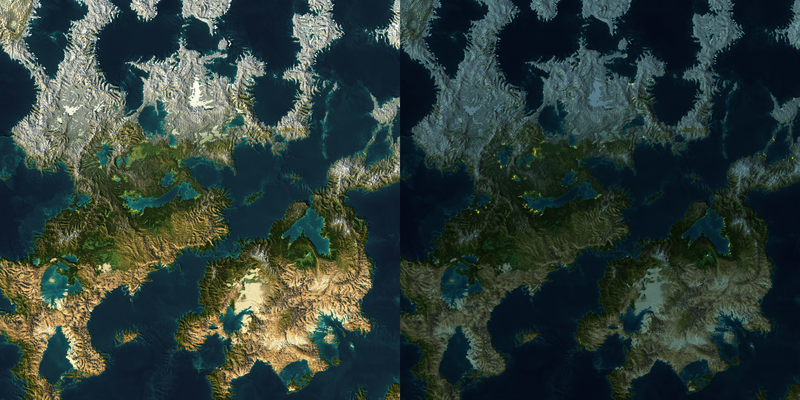 All of the terrain and mask layers were composited in World Machine. Some erosion was added. Layouts were used to control various things such as terracing, erosion, terrain height and form, and glacial valleys. The tiling features were used extensively for i/o. We'll publish the detailed article about the process of creating Valley Benchmark with in-work screenshots and WM files a bit later.